The provincial government has outsourced your road test scheduling to the United States. Effective March 1st, 2019, you can no longer book a road test on AlbertaDriverExaminer.ca. This is because Alberta Transportation has nationalized road testing and is taking away the registries and driver examiners' right to choose their own scheduling software. They are mandating that all examiners and registry offices use a third-party scheduling system that they have privately committed to with no competition or bid process. AlbertaDriverExaminer.ca is locally developed, owned and operated. The new Alberta road test scheduling system has been developed by an American-based company, which will be collecting personal information from Canadian citizens, through their scheduling process. At a time when our provincial government should be helping to create jobs, they are taking away jobs from Albertans, and giving them to Americans, along with your personal information. As a result of these changes, AlbertaDriverExaminer.ca will be shutting down after 10 grateful years serving Albertans. We estimate that this change will also result in a dramatic increase in wait times for Albertans across the province. If you have further concerns regarding booking road tests for all classes, please call Alberta Transportation. Please consider also letting them know that AlbertaDriverExaminer.ca is your first choice for booking a driver's license road test. We were able to offer same day road testing throughout the province of Alberta for the duration of our many years in business. 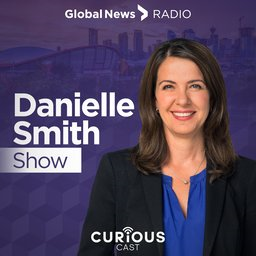 If you disagree with government intervention in business, and value free enterprise over socialism and nationalization, disagree with Albertan jobs being given to American business, or if you are not satisfied with the availability and wait times for your road test - please contact your MLA to voice your concern, and remember to vote! Sherwood Park, Okotoks, Didsbury, Cochrane, Strathmore, Lloydminster, Fort Saskatchewan & surrounding areas. What do I bring? How do I prepare for an Alberta Driving Test? Click here for a complete checklist to help you prepare for your road test. Be sure to check the individual policies for the Registry Agent where you will be testing. Click here for changes to your booking, and rescheduling information. Am I eligible? What happens if I am not? Do I forfeit my fees? Click here to find out more about eligibility, and your road test. Vehicles are available to rent through AlbertaDriverexaminer.ca, if you cannot provide your own vehicle for your road test. Recently suspended or have reinstatement codes? Wondering if you can still book your road test online? Has a doctor referred you to take a road test? Find out what they mean, who to contact, and what you should do next. Powered By Registry Connection Inc.